Brendan Clarke (Rene Gilmartin h/t); Conor McCormack, Sean Hoare, Kenny Browne, Ian Bermingham; Keith Fahey; Conan Byrne, James Chambers, Killian Brennan, Chris Forrester (Daryl Kavanagh 71); Christy Fagan (Mark Quigley 62). Dave Ryan; Gavan Holohan, Daire Doyle, Paul Andrews, Gavin Brennan; Carl Walshe, Michael Daly, Paul Crowley, Sean O'Connor, Cathal Brady (Eric Foley 56); Gary O’Neill (Philly Hughes 56). 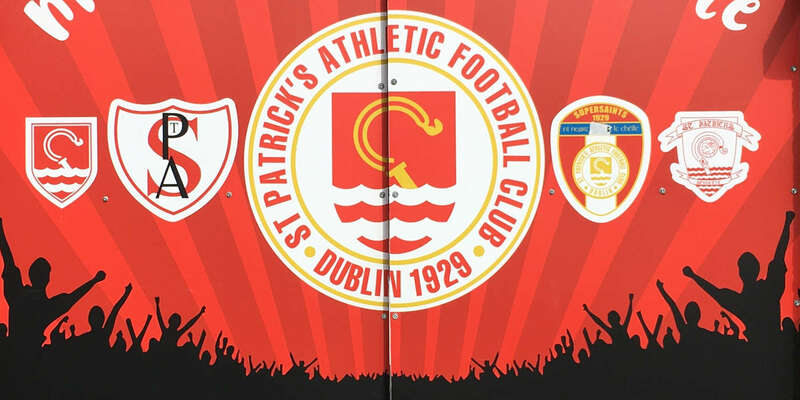 A hat-trick from Conan Byrne was the highlight as St Patrick's Athletic routed a dispirited Drogheda United 6-0 at Richmond Park in the SSE Airtricity League Premier Division. 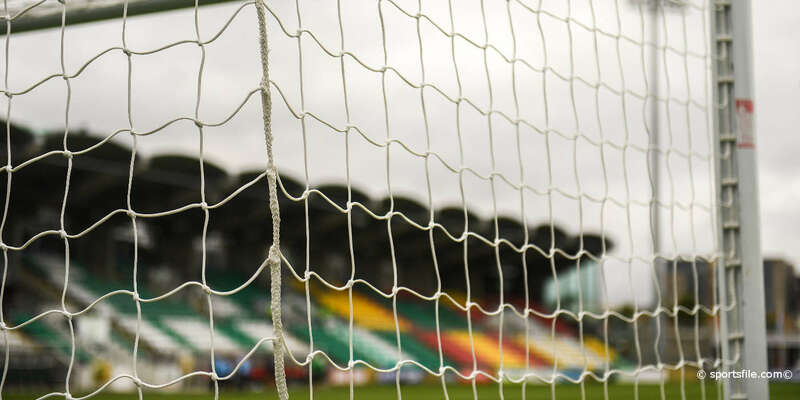 Fresh from having seen off Derry City 5-2 last Friday night, the champions showed no mercy to the freefalling Louth side who slumped to a confidence-shattering ninth defeat in ten games. 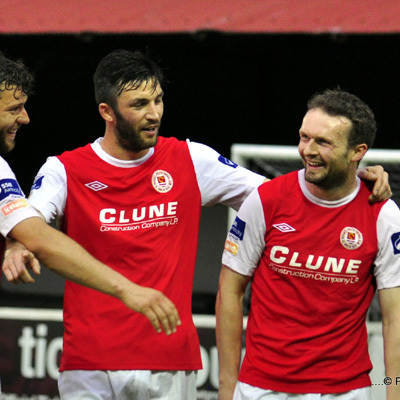 Chris Forrester (2) and Christy Fagan were also on target for the home side. 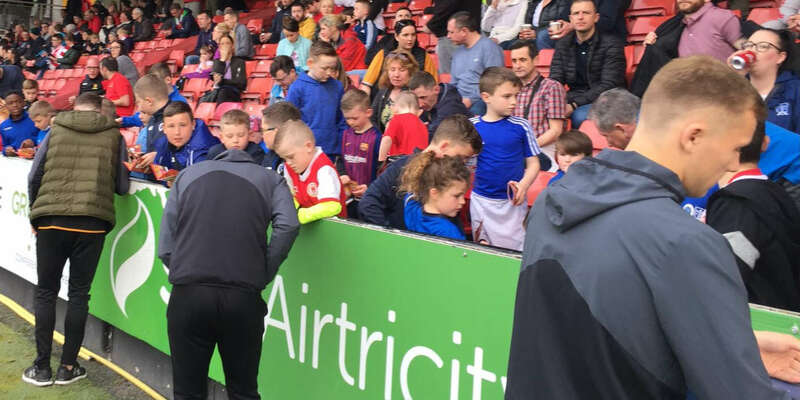 For Liam Buckley's Saints, it now sets up nicely the last league game before the summer break when his side travel to Oriel Park on Friday week to meet in-form leaders Dundalk. 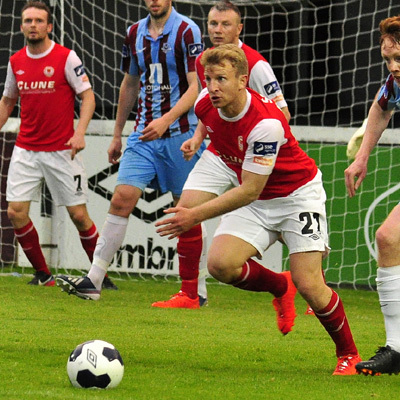 The rout began as early as the fifth minute when Keith Fahey's ball opened Drogheda up down the left to find captain on the night Ian Bermingham. His pull-back exposed negligent marking as Forrester had ample time to control the ball and find the top corner despite Dave Ryan getting a hand to the shot. Paul Andrews made a fine block tackle on Byrne three minutes later as the winger careered in on goal. It acted as a mere reprieve, though, as Pat's scored again on 16 minutes. Byrne got away on the right to send over a dangerous, low cross that Killian Brennan just failed to get a touch to. Bermingham kept the ball alive, though, to cross for Fagan to casually flick home his 13th league goal of the season. Fagan might have added to his tally as the league's leading scorer on 37 minutes, hooking over the top as Ryan could only help on another Byrne cross. The Inchicore side did get a fortuitous third goal five minutes before the break as Byrne's in-swinging cross deceived Ryan to end up in his net. A delightful move brought a fourth goal three minutes into the second half. Fahey linked with Conor McCormack who passed to Fagan to put Forrester in on goal to drill a shot past Ryan. It was 5-0 on 66 minutes. Drogheda stepped out to try to play offside and Byrne ran through onto substitute Mark Quigley's ball to shoot his second of the night to the corner of the net. With Brennan off injured after all their substitutes had been used, the Saints added to their tally with ten men on 86 minutes. Bermingham again got to the end line on the left to cross for Byrne to complete his hat-trick with a left foot finish.